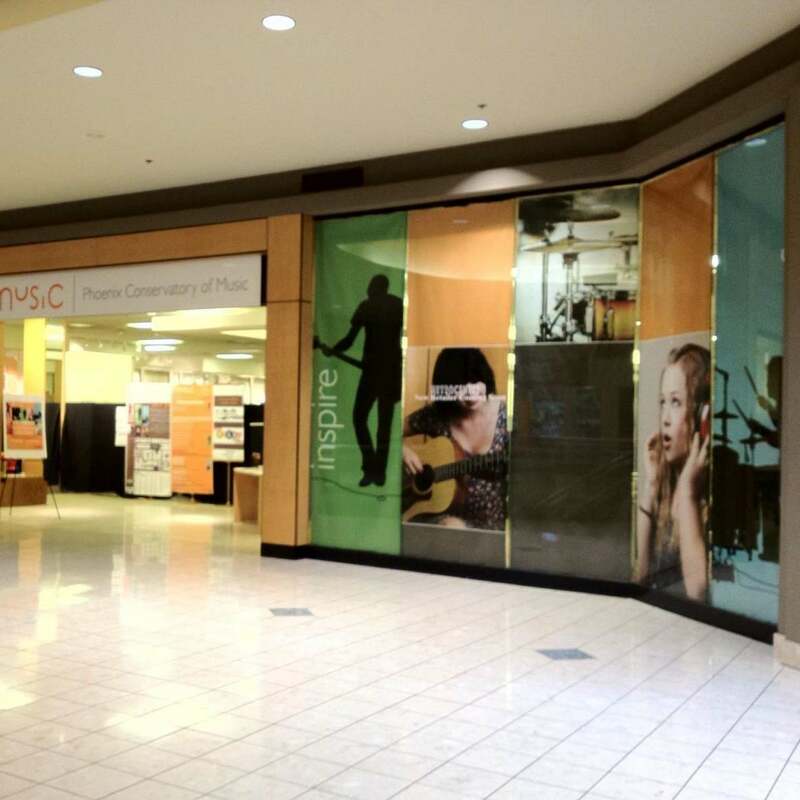 PHOENIX - March 3, 2017 - PRLog -- Phoenix Conservatory of Music, a leading 501c3 nonprofit community music education organization, has relocated inside the Metrocenter Mall. The larger space is a superior fit for the 450+ students a year who take private lessons, in house classes, and participate in Phoenix Conservatory of Music's College Preparatory Program. Regina Nixon, Executive Director, Phoenix Conservatory of Music said, "We are thrilled to be located in the new space. This move will allow us to serve the students in a better, more meaningful way, and provide them more opportunities to learn in a setting better suited to fit their needs. We are happy to continue to be a part of the mall family, and look forward to the growth of programs and level of education our students and community will receive." The expanded classroom space located at 9617 North Metrocenter Parkway West, Suite 2112 in Phoenix, Arizona, allows students and ensembles separate areas to learn theory, audio production, piano, music classes, and private lessons. The new space will deepen the level of learning for students and provide opportunities for programs to evolve, cultivating a continued community need at Phoenix Conservatory of Music (http://www.pcmrocks.org/). "Metrocenter is about creating fun, safe, and memorable experiences for our community. The Phoenix Conservatory of Music does this in an exceptional way, and we are proud to have them as part of our mall family," said Joe Binder, General Manager, Metrocenter Mall. "We look forward to all they will do - and the lives they will enrich - in this new space." To celebrate this momentous change in our organization, we will be having a Ribbon Cutting with assistance from our Councilwoman, Thelda Williams, along with community supporters, board of directors and advocates on Wednesday, March 08, 2017 at 4:30pm. This will be followed up with a VIP Cake and Coffee Reception. Media is welcome. Student performances will be held during this time. Afterwards, we will have a general open house for the community from 5:30-7:00pm with tours and an instrument petting zoo. All are welcome.